There will be a significant uplift in post-Christmas spending, with web visits to local clothing listings set to surge above the seasonal average on Boxing Day, based on 2017 data showing a 47% increase. Likewise, for hotels and food service industry in the UK, the top three days with the highest volume of website clicks during the holiday season all occur after Christmas Day according to historic data analyzed by Yext. In 2017, website visits for both industries peaked on the 28th December (Thursday) – 21% higher than the average Thursday. Yext examined consumer online engagement from 25th November to 31st December 2017 across website listings, tracking website clicks, phone calls and map directions, to capture not only the scale of the Christmas market for businesses, but also the importance of helping shoppers discover real world locations during this time of year. The online-offline journey is one of the most discussed topics in digital marketing, but never are marketing teams put more to the test than during the Christmas holidays. Across clothing, hotels and restaurants, the Wednesday (27th) and Thursday (28th) immediately following Christmas 2017 saw seasonal peaks for the number of clicks on the “get directions” button on Google results. Measuring call volume based on engagements with online contact information, the hotels and hospitality sector sees its highest volume of calls on Saturday 30th Dec – 30% more than the average Saturday during the Christmas season. By contrast, the season’s lowest volume of web visits and clicks for “directions” occurs on Christmas Day, emphasising the prioritisation of face-to-face, family time over the usual time spent online. Notably, in 2017, alcohol retailers saw a staggering 235% increase in calls on Christmas Eve (Sunday 24th) compared to the average Sunday, highlighting a significant last-minute rush by shoppers to gather all the necessary supplies. This can also be seen in requests for directions, which again surged 100% compared to the average Sunday through November and December. 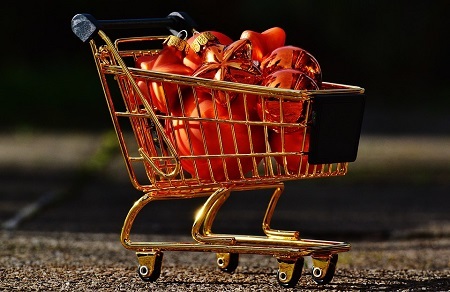 According to the data, Sundays are the day alcohol retailers receive the most web clicks over the festive season, emphasising the extent to which the boom in demand is down to last minute Christmas Eve shopping.